I have been busting at the seams excited (no fashion related pun intended) to share these looks from Red Dress Boutique with you guys! If you haven't heard of RDB yet, get ready to be obsessed. They offer the most adorable trendy styles for such affordable prices! So.. you're welcome for this introduction, but I'm also sorry for all the money you're probably about to spend. #Whatpaycheck? First of all, let's discuss these smoking hot strappy heels. I fell even more in love with them after they arrived and I tried them on. They will absolutely go with everything this spring/summer, and they're comfortable! I have a slightly narrow foot so I do wish that I sized down one size (wearing my normal size 8). I plan on putting a foot pedal in these, like I do all of my heels, and I'm sure they'll be perfect then! 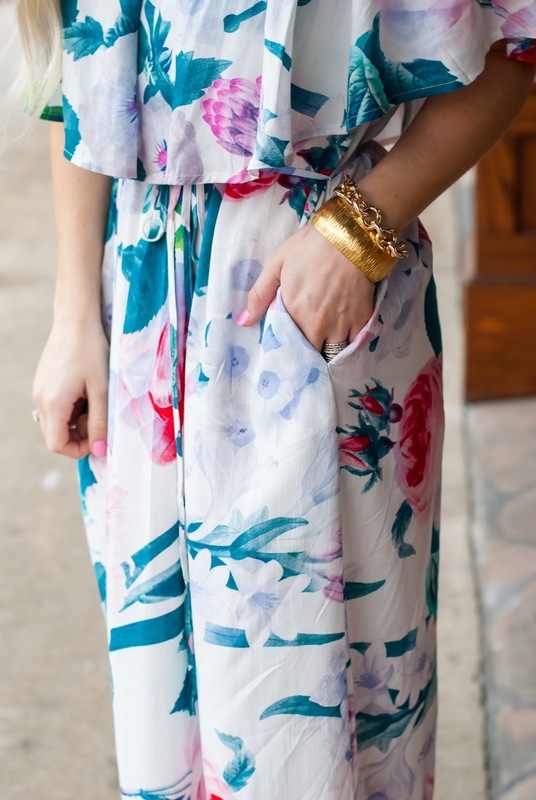 Nothing is better for warm weather than a floral maxi dress! I often find myself wearing basics and solids, so I wanted a bold pattern with bright colors, and this maxi absolutely fit the description. I'm wearing size small. I love the tie waist and pocket detail! This ivory tee is another item that I didn't realize I'd love so much. It's a nice flowy material, hard to wrinkle, and I love the detail on the back. I'm wearing size small. Such a good basic top to wear with jeans, skirts, shorts, etc! This black lace up skort is such a fun piece! It's extremely comfortable, great quality, and has stretch to it! I'm wearing size medium. It's definitely different from what I have in my closet and I'm so in love with it! It also comes in white, which I now want as well! This blue sweater is so perfect for wear now and later! The loose knit will keep me cool so I can wear it far into spring with shorts, but it also feels great now paired with jeans. And y'all, I had no idea how SOFT this sweater would be!! I want a blanket made out of this material! It's like a matte chenille material, and it's amazing. I chose to wear it off the shoulder so I could add this cute bralette, but you don't have to! I decided to show two ways to wear this striped dress because it's such a good basic and so easy to wear! It's so cute dressed up with heels, or down with a hat and sneaks. And did you see those pockets.. everyone loves pockets! I'm wearing size small. It also comes in pink and teal! This collaboration with Red Dress Boutique has been so exciting and such a huge accomplishment for me! Thank you so much RDB for these adorable outfits! 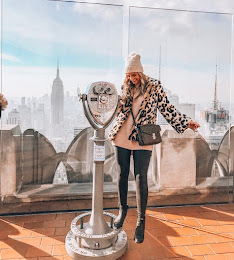 You look gorgeous modelling all four of the outfits you styled in this post featuring fashions from Red Dress Boutique! The sweater is a pretty colour, the black lace up skort looks very stylish paired with the ivory coloured top. 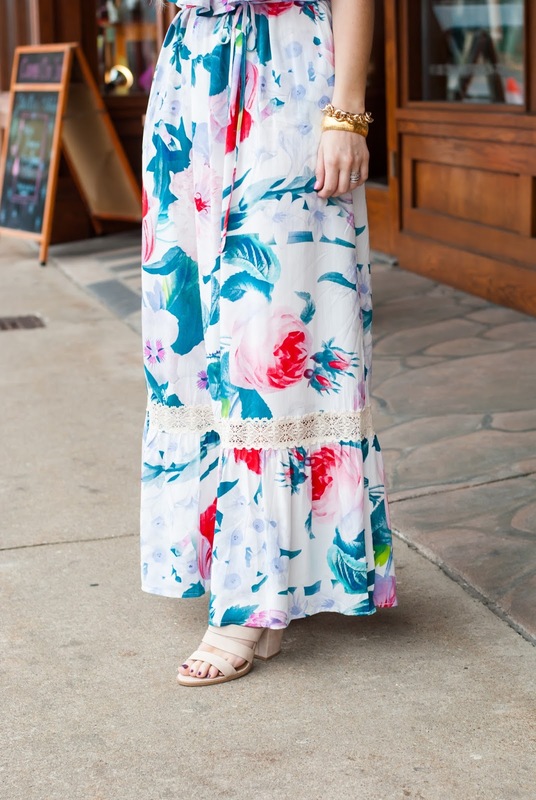 I love the styling, the band of lace trim, and the floral print on the maxi-dress. The horizontal striped mini-dress looks comfortable and very attractive - you look fabulous rocking it. Your hair, eye-makeup and lipstick all look very pretty. Fab haul and and a lovely lookbook! Thank you so much friend! !